Unique Home! 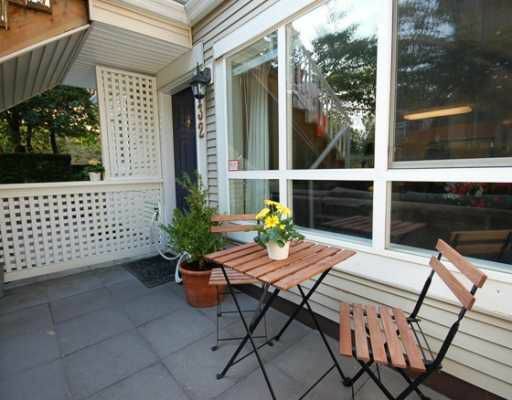 Spacious 1-Bedroom Townhome featuring an 8'x7' Den (great 2nd bedroom) with access to a wonderful garden patio & your own little piece of grass. Beautiful ground floor townhouse, tastefully updated with laminate hardwoodflooring & new paint, mint condition! You will love the bright open kitchen, gas fireplace, insuite laundry & cheerful master bedroom complete with bay window seating and private patio views. Your front entrance boasts a sunny south patio area, perfect for catching a few rays! 'Tudor Grove' is a great Complex, quality built by 'Adera'. Walk to SkyTrain & Highgate Mall. Open House Sunday August 16th, 1-2:30pm.